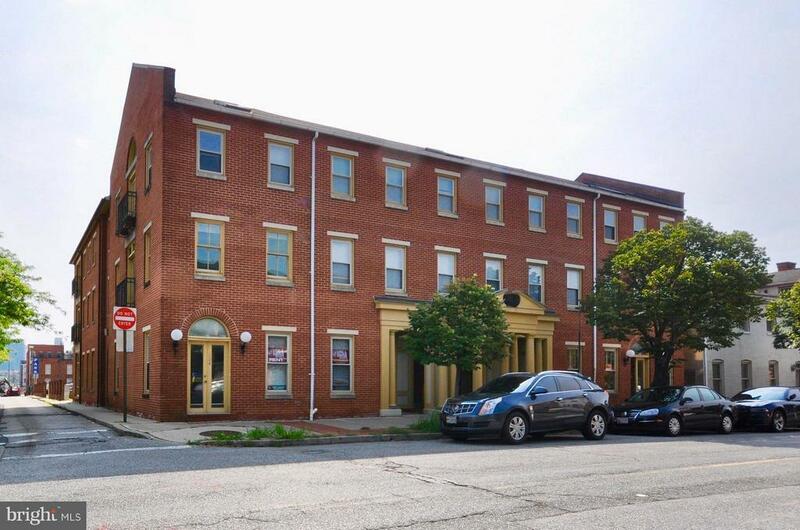 The heart of Historically Hip Federal Hill for under $100, 000?!? What?!? Its true! You can move right in to this corner condo, but it offers a great opportunity to put your own stamp on something. With a little renovation, you can increase your value and really make this place shine. The condo has a nice layout with spacious, open living/dining/kitchen, private washer and dryer, tiled bathroom, and bedroom with 2 closets including a walk-in with organizers already in place. There is a private balcony, too. (This is one of only a few units in the building with this feature). South and west exposures provide plenty of light. Reserved parking is available right behind the building for $140/month. Condo fees are $286/month and include water and building/common area maintenance. This prime location is walkable to shopping and dining, the downtown business district, the Inner Harbor, waterfront and stadiums.